iTunes 9.1 preventing jailbroken devices from syncing, breaking tethered jailbreaks? Hurray, it’s cat and mouse time again! iTunes 9.1 was just released, and it looks like Apple has taken yet another step (or two) in their endless fight against jailbreaking. Take this with a grain of salt for the time being, but we’re hearing a lot of early reports that jailbroken devices will not sync with this latest iTunes release. Update: This also appears to be breaking some “tethered” jailbreaks – that is, jailbreaks that need to be hooked up to a computer each and every time the device is turned on. 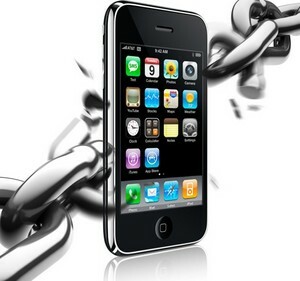 Unfortunately, this includes the most popular jailbreak application, blackra1n. We’re still looking for more confirmation. Update #2: Reports are all over the place. Some folks are having no problems getting their jailbroken iPhones to sync up, while others are having no luck at all. Some are reporting that a computer reboot cleared things up. It’s likely that whether or not it will work for you will depend on how you jailbroke, and what modem firmware is running on your iPhone. Tread with caution until this clears up. Update #3: iPhone hacker ih8snow says the new-found troubles with blackra1n are all Windows-oriented, with the OS X version still working fine. Blackra1n hooks into a Windows .DLL file to find some of the things it needs, and said .DLL has changed. OS X users should be fine. Drop us a comment and let us know if syncing is working with your jailbroken device.